I often takes these quizzes – but don’t bother doing anything with the results. Overall, I’m really trying to figure something vital out – What does it all mean? I have enough trouble trying to figure myself out sometimes. Can I really figure it all out by taking these quizzes – or do they just muddy the waters of my self-instrospection? 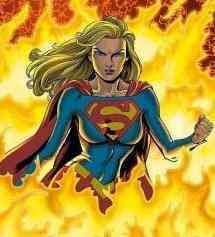 Next time someone asks me to describe myself in one word though, I might just say “Supergirl.” I guess I could do worse. You are currently browsing the Life as I Know It blog archives for the day Thursday, January 4th, 2007.